The Civil Engineering Department has successfully graduated two more doctoral students through the SIUE-SIUC cooperative doctoral program in engineering science. 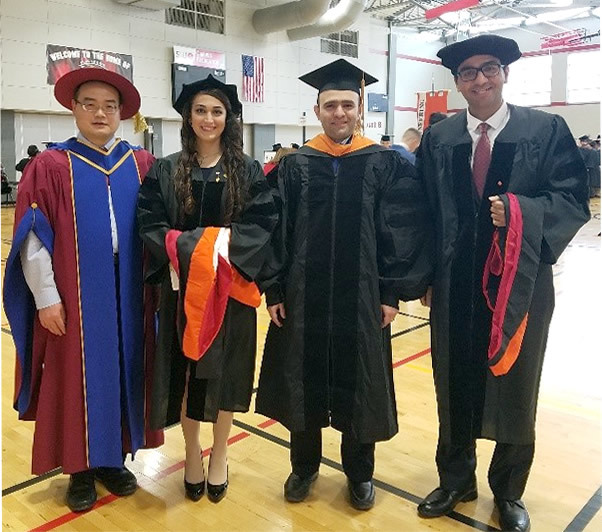 Dr. Azadeh Akhavan Bloorchian (environmental and water resources engineering, advised by Dr. Jianpeng Zhou and co-advised by Dr. Abdolreza Osouli), and Dr. Siavash Zamiran (geotechnical engineering, advised by Dr. Abdolreza Osouli) were conferred their Ph.D. degrees at the Fall 2017 commencement. 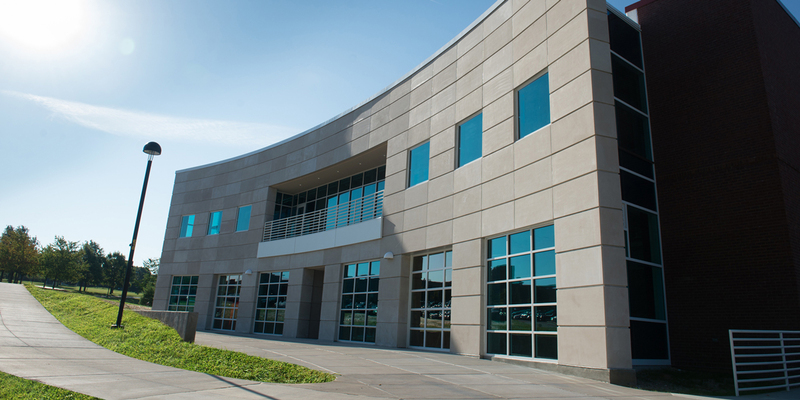 By now, six Ph.D. have graduated from the Civil Engineering Department since the start of the SIUE-SIUC program. Pictured in this photo are (from left to right) Drs. Jianpeng Zhou, Azadeh Akhavan Bloorchian, Abdolreza Osouli, and Siavash Zamiran.